If you are a Denver homeowner who has just been put on notice by your financial lending institution that they have begun the pre-foreclosure process, then you have probably been wondering how can I stop foreclosure in Denver Colorado. Despite how helpless you feel, and no matter how much you are starting to feel like a victim, there are some things that you can do in order to prevent, or even stop the foreclosure process in it’s tracks. We are going to review some of those methods here, so please pay close attention as we break each step down in great detail in order to inform you to the best of our abilities. Going through the lengthy foreclosure process can be extremely stressful, which is why sometimes it’s best to simply sell your home and get out of the deal altogether. If you owe less on the mortgage than the house is worth, this is a good thing, because that means that you can simply sell your house and use the funds to pay off the mortgage in its entirety, and then use the leftover cash to move into an apartment or condo and keep your current lifestyle intact without too many major disruptions. If you owe more on the mortgage than the house is worth, then, unfortunately, the only real way out is to have a short sale or declare bankruptcy. We always recommend to have a short sale, and we can even help in the negotiation process with your lender, so please give us a call today at (719) 286-0053 if you need some help in negotiating a short sale on your property. 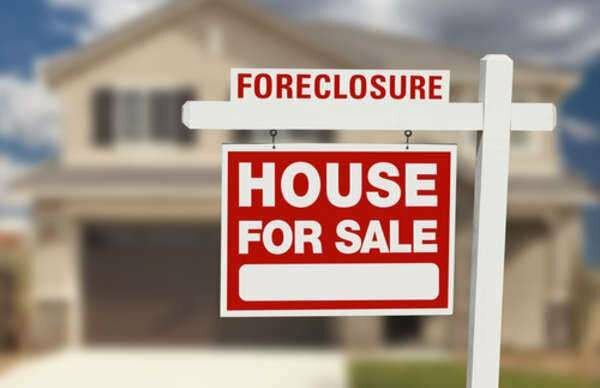 I’m Going Through Foreclosure – What Are My Options? Sell your home – You can have a short sale to sell your home and pay off the existing mortgage. Negotiate new financing terms with your lender – Give them a call and see if you can work something out. Declare bankruptcy – We don’t recommend this as it will stay on your record for several years, but it is still an option. Leave the home – If you don’t want to try to fight to keep your home, you can simply move on and let the bank take it. These are just some of the options that homeowners have when they are going through the foreclosure process. If you are dealing with this tough time in your life, and simply want to sell your home and move on with your life and be done with it, then give us a call right now at (719) 286-0053 and someone from our team will get in touch with you about how much we’d be willing to pay for your home. Even if your home needs a lot of work, and is in bad condition, we can still help and will still be able to make you a reasonable cash offer for the property. If you want to see how much we’d be willing to pay for your home that is currently in foreclosure, then fill out the form below and enter your property address and we will give you a free quote in under 24 hours.